The band arose in june 2003 on initiative of Wojciech Przybyło and Adam Langowski. Soon Krzysztof Przybyło joined them. Finally lineup formed in october, when basist's function was taken by Piotr Pawlikowski. The group made their debut in january 2004. Then Lux Mortuum was performing in Toruń region. In april 2004 got the award on XIII edition of KATAR - record session in Black Bottle Records. In may 2004 they played on Toruńska Siła Czadowa (rock festival in Toruń). Promotional composition - "House Of Pain" - was recorded in BBR on 5th march 2005. The song was broadcasted in Radio BIS(polish public radio) and reached 10th position on BIS-HitParade. The band still was playing another concerts. 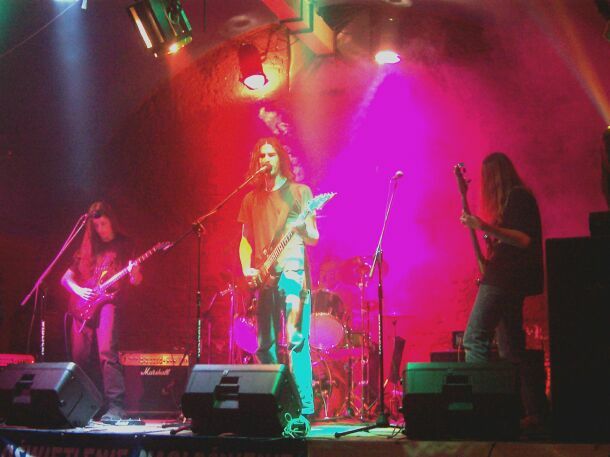 In july 2005 Lux Mortuum got award on Deczno Rock Festival. In september 2005 the group recorded another compositions - "Will I" and "Scream Of Anger". The official premiere of SP "Strike One" has taken place on 8 january 2006. Afterwards the band won in Review in pub Areszt. Soon they played as local supporton Atrpos and April Ethereal's mini-tour. 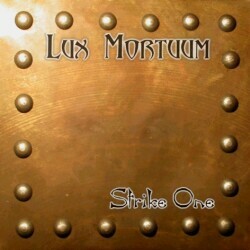 Lux Mortuum had entered on Black Bottle Festval, where performanced in so excellent companionship as: Exlibris, Intruder, Al Sirat, Pobieda, Chainsaw, BUTELKA, Hunter.